Part-time work is the alternative to full-time work. Anybody undertaking part-time work is therefore routinely working less than 30-35 hours per week. According to the Daily Mail, at the end of 2012 there were over 8 million Britons employed on a part-time basis. Why Might People Consider Part-Time Work? People may consider part-time work for a whole variety of different reasons. An inability to gain full-time employment in a difficult economic period is one reason for many. Others have made a lifestyle choice to only seek part-time work, whether that is to supplement pension income, student loans or a main income coming from a full-time job. An added dimension is part-time work from home – using your home as the main base to conduct the work instead of being situated in an employer’s premises. What Are The Advantages of Working Part-Time From Home? Have you ever walked past a little corner cake shop humming with customers and thought, “I could do that”? If you’re a good baker and enjoy baking, you could easily use these skills to bake cakes, biscuits or sweets to sell. You could invite your friends over for a tea party and if they like what they taste, ask them to spread the word on Facebook and Twitter and wait for enquiries. Virtually everyone has a regular pipeline of events where having a bespoke, homemade cake would go down a storm – kids birthday parties, adult birthday parties (! ), Christenings, weddings, anniversaries, thank you’s – almost any occasion is suitable to give a cake. Additionally, selling goods at craft fairs allows you to not only earn money on the day but spreads the word wider for later referral work. Do you enjoy photography? Do you own your own camera, accessories and editing software on your home computer? Many good amateur photographers can produce and edit photography to rival the professionals and for many occasions, a good amateur photographer is ideal in terms of having a balance of good photographs and cost. OK, so it involves leaving the house for a few hours to actually attend an event but the rest of your time will be spent editing and potentially producing photographs for your friends, family or customers. Similar to cakes above, many people would love to have a cost-effective good photographer at their important family events and perhaps you could be their person. And the end results are a perfect advert for your services once friends of friends see them hanging up in their hallways and living rooms. Do you have a subject that you’re passionate about? Do you enjoy writing? Are you willing to share your thoughts with the world (or a little bit of it!)? Then consider blogging, or officially, web logging – logging your thoughts online. You can set up a free blog with providers such as Wordpress, tailor the design and name of your page to what you’d like and off you go. So how can you make money from blogging? Through what you write and how you publicise your blog over the internet (typically by linking to your blog through social media sites such as Twitter and Facebook), you can build your readership over the course of time. Once your readership hits a certain point, advertisers may be interested in placing adverts on your site for their goods or services allowing people to click through to the provider’s site. The more readers you have, the more a provider is likely to pay (bear in mind you’ll probably have to provide proof albeit that’s an easy step through the built in statistics tool of blog provider sites such as Wordpress. No longer the domain of the 15 year old teenager looking for pocket money. If you enjoy physical work and enjoy working on a ‘project’ from start to finish then car washing is potentially for you. People will be up to and beyond £20 to have their cars cleaned inside and out – evidenced by the roadside providers you see in and around major towns. Similar to photography or cake making above, if you provide a quality service to close friends or family, they will automatically spread the good word. Set up costs are also very low given that you’ll probably already have a bucket, hose and vacuum cleaner. Essentially providing good food to typically large numbers of people. Many organisations and individuals use catering services for many different reasons. Individuals consider catering when they are organising large events such as Christenings or parties. Businesses or broader organisations consider catering for anything from business lunches to conferences and celebrations. Catering is not just about preparing good food, there is also a large element of organization and time management, especially when dealing with large orders for large amounts of people. Menu planning is also a much-needed skill, as is working to a budget and properly costing both your time and inputs. However, if you enjoy project management and cooking, you can make significant sums of money through catering. Looking after other people’s children. First and foremost, any adult who looks after another person's child for more than two hours on any one day in a location other than the child's home (therefore excluding most babysitters and nannies) needs to register with Ofsted. It's not a particularly complicated process but does include medical, criminal and domestic safety checks. Not registering could mean prosecution so it’s a must. Other than registration with Ofsted, if you’ve already got small children or have had them, you’ll be fully aware of what looking after children entails – huge amounts of energy, huge amounts of patience and huge amounts of tolerance. But you’ll also be aware of how rewarding it can be, and not just financially. Are you good with computers? Do you enjoy building them or taking them apart and putting them back together? Do you find people already come to you for you to help solve issues from software malfunction to needing help installing new software? Then you could turn your skills and enthusiasm into a great part time job. The market for such a service is considerable, you just need to consider how you would spread the word and how you would structure your fees. If you have an eye for making crafts of any kind then selling them online is an ideal outlet for you to make money. People love buying ‘home-made’ goods – to create a homely feel in their own homes or for gifts for all occasions – there’s nothing like home-made. Websites such as Etsy provide a forum for you to sell but also take a look at the design trust who say they help, “professional designers and craftspeople to create and run better businesses”. Data entry jobs involve processing numerical, text based or imagery data from one format to another. The scope of available data entry jobs is broad. Public and private organisations and businesses have multiple reasons for employing people to enter data on a part time basis and the nature of the tasks vary considerably. Fundamentally, organisations outsource data entry to cut their costs, or to add pace to their operations – get tasks done quicker as they don’t have their own resources internally. Essentially, the nature of the work means you will be sat working at your computer and there will fundamentally be two key parts to your work – finding work and completing work. There are many online providers of data entry jobs albeit it’s important to be aware of scams – the golden rule being that if a website is offering something that sounds too good to be true then it probably is. And never pay to sign up to a service that promises they will send you lots of jobs – they should be paying you, not the other way round. Potential providers include Reed, Careerbuilder and Freelancer as well as the mainstream job sites such as fish4 and totaljobs. Chances are that if you’re considering this option then you’re already doing this already for your own use. Could you expand your production? Do you have the space? Do you have cost effective allotment space nearby? Growing your own vegetables can give you great satisfaction, and fresh food that tastes that extra bit special because you know exactly where it came from and what went into it. Organic and locally farmed fruit and vegetables with low food miles is a growing market and would allow you to make some good money from what you don’t use yourself. Very few people enjoy ironing albeit some people do find it therapeutic as they watch television or converse with family. But most people don’t enjoy it and hence that makes ironing a very viable way of making money. Depending on the demand from the community you live in, you could get between £8 and £12 per hour, between 50p and £1 per item or between 50p and £1 per lb of clothes. If you enjoy making your own jewellery already or if you enjoy doing arts and crafts then you could easily source a jewellery making kit online (e.g. JewellryMaker.com, Sand-Stones.co.uk, Amazon all sell them) and begin making jewellery to sell. Once again, start with your friends and family and begin making a name for producing beautiful quality pieces and word will spread. Means you get paid for submitting your opinions on a wide range of potential topics. There are a large number of websites that you can register with who will then send you surveys to complete based on your profile (age, location, education, etc.). The results of these surveys are sold back to organisations – mainly high-street retailers – who are looking for consumer insights so they can develop the next range of products and services. You can earn in the region of £1 for a typical survey that may take 10 minutes to complete. While you shouldn’t expect to make your fortune by completing online surveys you could expect to supplement other income by up to £800 per year. Potential online providers are Global Test Market, GFK, IPSOS, Mingle, MySurvey UK, Vivatic and Valued Opinions to name just a few. When pet owners work away from home or go on holiday they need to house their pets somewhere that they trust will look after their animals and treat them almost as well as they’re treated at home. While kennels are an obvious option, pet minding is an alternative service that is perceived to be that more personal and caring. If you already have pets then you’ll already have the infrastructure and mindset necessary to look after other peoples. If you’re considering doing more than just a little pet minding then you should consider taking out public liability insurance. So of all the suggestions on this list, renting your driveway is probably the most passive part time job! If you live close to a good transport hub such as an airport, train station or tube station, or indeed next to a sports stadium or entertainment arena then consider renting out your driveway to would-be parkers who would be prepared to pay anything up to £200 per month. You can advertise directly with a sign in your driveway to attract passers by or you could register with a website such as ParkAtMyHouse.com or ParkLet.co.uk. Alternatively you could advertise on free listing sites such as Gumtree (www.gumtree.com). Auction houses round the country routinely sell off lost luggage that the airlines have failed to match with their owners. Greasby’s in London sells off British Airways’ lost items every week and you bid blind on bags that have had the more expensive items removed (cameras, iPods etc) and then sell on the bag and contents online. Bags generally go for between £5-£50. There are ways to make money from your photographs by selling them online. Your photo back catalogue and any future photography could earn you money if you know the right websites to add them to. There are many organisations who need to use photos and images everyday on websites, in magazines and brochures, on posters and elsewhere - and they are willing to pay photographers for the right to use them. One of the best ways to get started making money from photographs online is by taking advantage of stock photography websites such as Shutterstock and Istockphoto which are free to register with to sell your photos. Each stock photography website has different rules and guidelines about what photographs they are looking for and what they will be willing to accept and you should consider that there are strict rules about ownership and copyright issues on any photographs you submit. If you are a retired teacher, part time teacher or just a qualified teacher who is taking a career break to look after small children or otherwise then tutoring is a great option to work part-time and earn extra money employing your valuable skills. Lots of parents consider tutoring for their children who may have fallen behind at school, may be studying for entrance exams or may have end of year exams coming up and just need a little added boost but many struggle to find someone local who they can trust and who offers a reasonably priced service. You could advertise your services to friends, direct at your child’s school or you could also register with an agency. When you open a typical weekend newspaper magazine or a generic ‘women’s magazine there are always a couple of pages of readers letters that the magazine has paid for. Why not start sending letters and seeing what return you could make? Letters often range from £5 to over £200 and if you have a particularly interesting story to tell, the editors may even often you more as a featured article. The magazines usually publish contact details and just by reading a few weeks worth, you’ll get a flavour for what gets in and what nature of letter attracts the larger sums. You will still be liable to pay tax on any part-time income you earn at home. But do remember that if you incur any costs to support your business then they could be offset against any tax you are liable for. Contact HMRC for more information. As noted above, there are several scenarios when you should consider taking out insurance to protect you from any future liabilities. Speak with you household insurers to get advice and more information. Depending on the nature of the work you are considering doing at home, you may be required to tell your mortgage provider (don’t worry, your payments won’t be affected). Don’t forget to consider the feelings and needs of your family – setting up a business or income stream from home can be rewarding but it may adversely affect members of your family. How Should I go About Applying for Part-Time Jobs? There are so many part time work opportunities that the method of applying will vary dramatically. However, it certainly won’t hurt to have a strong CV in place ready to hand over to anybody who has a job requirement. A CV should detail your work experience, education and any relevant skills as well as any pertinent personal information and references. Keeping a template cover letter that you can personalise easily and quickly will also come in handy and will underline your professional approach. 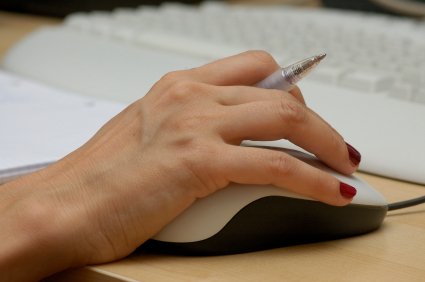 Free guidance on writing a CV is available from a number of online and offline sources. Online, recruitment websites such as monster.com or the mainstream newspaper sites all carry useful information that will help. Is it Possible to Have More Than One Part-Time Job at a Time? Find time to relax away from your jobs as it will let you recuperate and unwind meaning when you are at work, you’re at your best.